The following are possible with us on an on-going and regular basis in Bangalore. Instruments, accessories, consumables, exam-options, teachers etc. available. Singing. Group Singing. Vocal Development. Folk Music. Be a part of our Chorus. Western Classical Voice Developmkent. Opera & Musicals Repertoire. Flash mob. Voice, vocal, choir and chorus support to any and all the Arts. i. ABRSM, Guildhall Trinity, LCM-RGT OR other Certification Examinations on request. ii. Exams may be on offer ONLY at some of our centres. iii. Some instruments may NOT be on offer at a centre till we have enough centres. iv. Till such time such instruments may be taught ONLY at ONE or FEW of our centre-locations. v. For Instruments NOT listed above, please call or write to us for a solution. Standard Western Classical 6,000/- Music Stand, Rosin, Extra set of string. Yamaha YRA 302 1,500/- Music Stand. 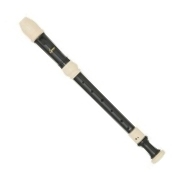 Get the YRS 302 Recorder. Tenor & Bass Recorders Later. Yamaha C70 or C80 11,000/- Music Stand & Foot stool, Extra set of strings. Consider a good Acoustic Guitar as well. We partner closely with Music Instrument Manufacturers, leading importers, stockists, distributors, logistics, luthiers, teachers, musicians, music-software developers & trainers, repairers to be a one-stop-shop for all your musical needs. A keyboard in every home. Many of these are toys and not a serious musical instrument. If you are serious go for an acoutic piano. Or a digital paino with piano-like weighted 88 keys feel. We can also faciliate organ, sacred and hymns Learning & Playing. Learnable in a few days to months No formal methods. It's popular and most guitarist of this kind are self-taught. You don't really need a Teacher nor a School. More expensive. Nylon strings. Standard size. Ergonomic posture of sitting. Finger-style. Read music notation. Concert instrument. Huge volume of available sheetmusic. Learn new songs from music. Takes years to learn. Examninations & Certification. Can easily adapt to any other style of guitar playing. Cheaper. Steel strings. Sizes vary. Use a plectrum. Accompany with chords. Sing & Play. Fun with no real formal training. Can adapt and learn to play the electric - whether bass, lead or rhtyhme. Faciliate our Voice & Language Learning Programmes. Get your fundamentals right. The piano-like keyboard. Why 76 keys or more? Why weighted keys? Right hand. Left hand. Air & Accompaniment. The electronics side of music. 1-year Certificate Course from Music International. Start thinking piano, exams and more systemtic formal methods of learning. Learn correctly. Rhythm. Lead. Bass. Rhythm and Percussion. Voice. How does it all fit together as a band. Notes. Intervals. Chords. Genres & Styles. 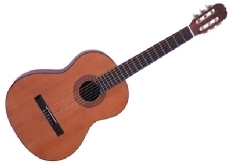 Start thinking classical guitar, finger-style, solo performance, exams and becoming a more rounder guitarist. What OTHER Instrument can you take up? 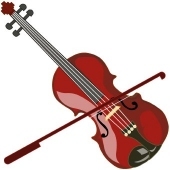 Violin, Viola, Cello, Double Bass Alto Recorder, Soprano, Tenor or Bass Recorders. Concert Flute, Obeo, Clarinet, Bassoon. Cor-Anglais. Picolo. Saxophone - Alto, Tenor or other. Bugle, Trumpet, Cornet. Trombone, Tuba. French Horn. Voice Placement. Music basics. Sight Reading & Sight Singing. Folk Music. Western Classical Music. Church Music. Secular Music. Glockienspiel, Harp, Xylophone, Timpani, Tubular Bells Acoustic Guitar, 4-octave Electronic Keyboard, Fretted Instruments Banjo, Ukulele, Mandolin, Balalaika. PIano or Button Accordion. Electric Bass, Rhythm or Lead Guitar. 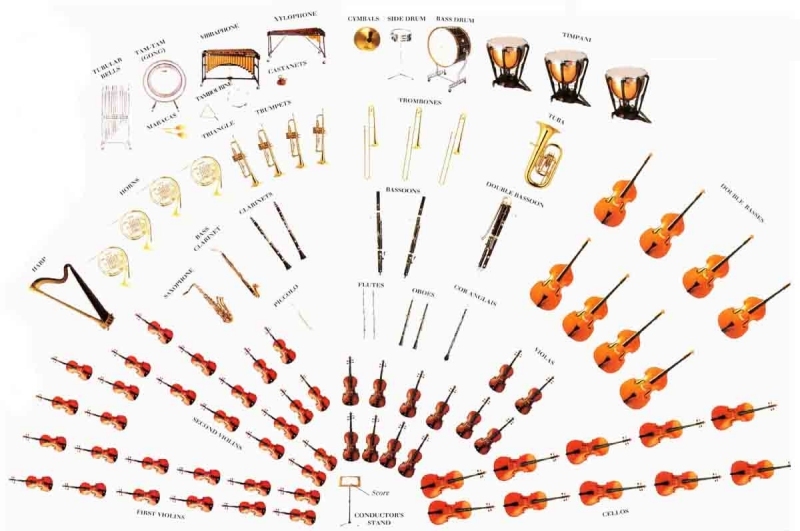 Possible Criteria to Select an Instrument to Learn. It's personal and entirely up to you. However, thinking about it or getting answers to each of the following may help you decide. Which instrument do I like the sound of? It's probably a very good yardstick. Which instrument I think I will stick with. You'll playing the same instrument over many years. I would enjoy playing with others, rather than solo or by myself. 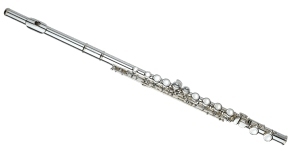 Can I afford to buy this instrument? Some instruments can be very expensive. You may be able to borrow, hire or lease an instrument. Do I mind carrying this instrument whereever I go? Some instruments can be very big. Am I willing to spend time and money on maintaining this instrument in good playing condition? Some instruments take quite a bit of time, effort and cost in maintenance. Take up a different, new or unique instrument so that you stand out in a crowd, or will be eeasier to accept in a group or when competing for places. Do you want to play an instrument only to accompany yourself while singing? Where, how and when will I get opportunities around my home, workplace or music school to play my instrument? Which instrument will allow my to have fun with people around me. My friends, my colleagues, classmaters, fellow-students etc. Can I get and be able to afford books, materials, music and everthing that goes with sustaining my interest with this instrument? Is there a good teacher available to me for this Instrument? Spend the maximum for this - a good teacher is worth his or her weight in gold. Further and LONGER-TERM music learning tracks that we offer.... click to view. Benefits of Music, Music Therapy, Music Educatione etc. 5. A study of the arts provides children with an internal glimpse of other cultures and teaches them to be empathetic towards the people of these cultures. This development of compassion and empathy, as opposed to development of greed and a 'me first' attitude, provides a bridge across cultural chasms that leads to respect of other races at an early age. 10. Music study develops skills that are necessary in the workplace. It focuses on 'doing' as opposed to observing, and teaches students how to perform, literally, anywhere in the world. Employers are looking for multi-dimensional workers with the sort of flexible and supple intellects that music education helps to create as described above. In the music classroom, students can also learn to better communicate and cooperate with one another. In the 1950's, a series of research experiments in Hungary discovered that learning and playing music starting at an early age such as kindergarten and primary school improved not only academic performance, but also reasoning, working as part of a group, time management and the ability to think in the abstract. A massive two-year study in Switzerland showed that playing music improved children�s reading and verbal skills through improving concentration, memory and self expression. This study also revealed that children who learned music learned to like each other more, enjoy school more, and were less stressed during the various tests due to being able to handle performance pressure better. A preliminary study at The Chinese University of Hong Kong has shown that adults who receive musical training before the age of 12 had an improved ability to recall spoken words that is, verbal memory. As mentioned in a few of the studies above, learning a musical instrument can aid in time management. This is due to organising practice. By learning how to organise your practice time, you learn the time management skills that you can then apply to your life. Nothing worth acquiring in this world is easy. Music is the most emotionally integrated and rewarding experience of hard-work and discipline. Studies have shown that learning music early in life help develop connections in the brain that connect the left and right side. These connections can help these students better understand complex mathematical concepts, and find creative ways of solving problems. Learning music itself also touches on other subjects. Because a lot of what we learn is music written 200-400 years ago, it helps create a connection to historical events. Music is also highly related to Physics, as we create a sound wave. The music instrument itself is a great description of this as the string creates and demonstrates the sound wave in a form we can see. Learning a music instrument also aids in physical development. Because it uses both sides of the body, doing different things, the mind and body develops so that its co-ordination is at a high level. Attention to detail; quality of delivery; the proof of the pudding is in the eating. Everything that is 'classy' is associated with 'Western Classical Music'. Acquire the lifestyle choice of being a trained Western Clasical Musician.